“Sustainable solutions to poverty” is a topic that often gets overlooked, as mainstream media tends to focus on organizations that give handouts. Society as a whole is often not geared to helping people learn to stand on their own two feet and thrive; instead it often and unwittingly keeps them trapped in a system of dependence on others. If you’re a reporter, journalist, show host or producer looking for a unique feel-good angle based on solid success stories, consider interviewing our founder and spokesperson, Anita Casalina. 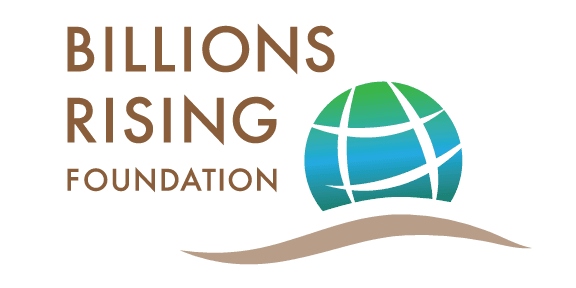 Anita Casalina is the founder of the Billions Rising Foundation, whose mission is to raise awareness and support for people and organizations who are in fact, creating these sustainable solutions. Over the years, Anita found that telling stories through the media was a wonderful vehicle for promoting social change. In her 20s, she produced educational films for Physicians for Social Responsibility, Friends of the Earth, Foster Parents Education, and other non-profit organizations. After co-writing our best-selling book, Billions Rising: Empowering Self-Reliance, she has continued to seek out and publicize the amazing dedication of even more people and organizations that are creating sustainable solutions to poverty. She believes that a new paradigm for philanthropy has been born; one that respects the dignity of those who have lived in poverty, allowing them to have the strongest voice in expressing what they truly need. Anita and her team at Billions Rising Foundation decided to utilize the dynamic entertainment value and wider reach of television. They are currently in pre-production for “World Changers,” a one-hour news/talk show with the same pacing and engagement as any mainstream show, but with a twist: all featured segments and guests provide incredible stories of success in ending poverty. The show includes Calls to Action for viewers to get involved with highly vetted projects and initiatives. Since much of this work goes unreported in the media, it is Anita’s goal to continue to spotlight efforts of the remarkable and dedicated visionaries who work behind the scenes and are making a difference that is permanent and uplifting for all of humanity. That’s the overriding goal of the Billions Rising Foundation, and Anita’s personal mission in life. For more on Anita, see her bio page. Anita and Jim Beach had a great discussion about the history of Billions Rising Foundation and the upcoming World Changers TV show. Anita is a regular columnist on Huffington Post, writing about self-reliance and eradicating poverty. Anita joined hosts Harry Shade and Phil Gornail on Marvelous Mondays, a top personal development and positive news show. They spoke about how Billions Rising and our featured organizations are helping make a positive contribution to the world. Anita was interviewed by hosts Estra Roell and Kathleen Martin on Coach Cafe, The Self Empowerment Place to Meet. They talked about self-reliance and the Billions Rising Foundation projects. Warren was interviewed by host Thomas Mangum on Virtual Coffee, a show about caffeinating your mind, heart, & soul so that you’re generating the results you most deserve. They spoke about the heart of the what, why, and who of Billions Rising and how it impacts YOU! Anita was a guest on UntangledFM’s Inspired Wealth Show with host Judy van Niekerk. They discussed how there are thousands of ways to get involved, empower yourself and give a permanent hand up to the poorest people of the world whilst building your own legacy, and the journey Anita has been on to raise the awareness of the amazing self reliance projects on the go globally that will change the world as we know it. Anita was a guest on Halyard Consulting’s World of Internet Marketing with host Jonathan Goodman. They discussed the Billions Rising book launch, crowdfunding and more. Anita was a guest on Halyard Consulting’s World of Internet Marketing podcast with host Jonathan Goodman. They discussed the Billions Rising book launch, crowdfunding and more. Anita was one of the guest authors on the Conversations with Klarque radio show, talking about the Billions Rising book. Anita was featured on the web show We Plus You to discuss self-reliance and showcase those that empower it around the globe. Read about the book here, or contact us for more info.